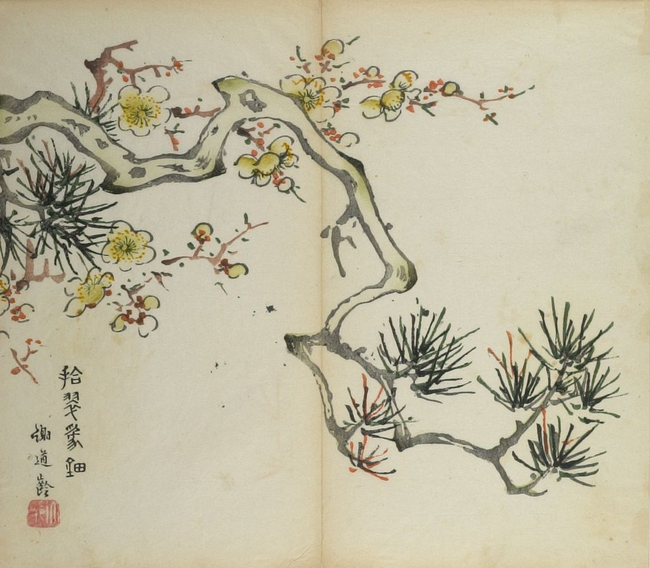 Hu Zhengyan (1584 – 1674) was a Chinese artist, printmaker and publisher. 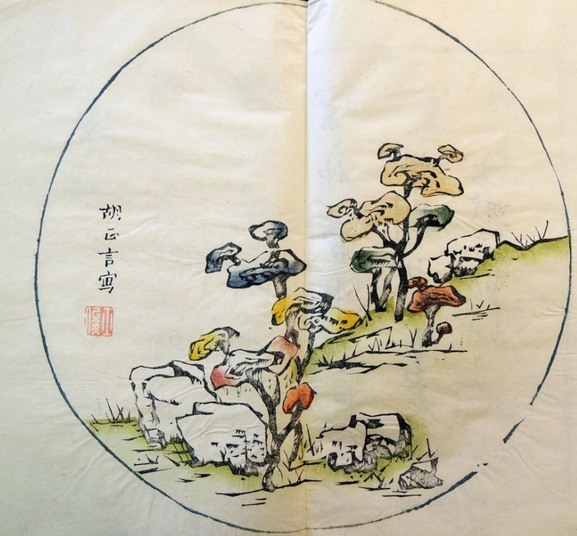 He worked in calligraphy, traditional Chinese painting, and seal-carving, but was primarily a publisher, producing academic texts as well as records of his own work. 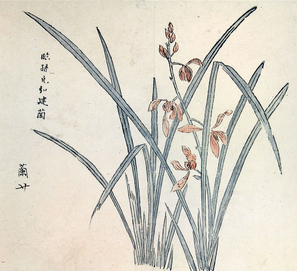 Hu lived in Nanjing during the transition from the Ming dynasty to the Qing dynasty. A Ming loyalist, he was offered a position at the rump court of the Hongguang Emperor, but declined the post, and never held anything more than minor political office. 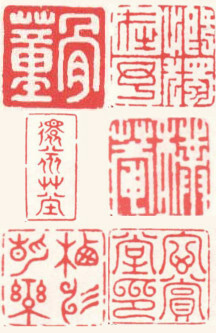 He did, however, design the Hongguang Emperor’s personal seal, and his loyalty to the dynasty was such that he largely retired from society after the emperor’s capture and death in 1645. He owned and operated an academic publishing house called the Ten Bamboo Studio, in which he practiced various multi-color printing and embossing techniques, and he employed several members of his family in this enterprise. 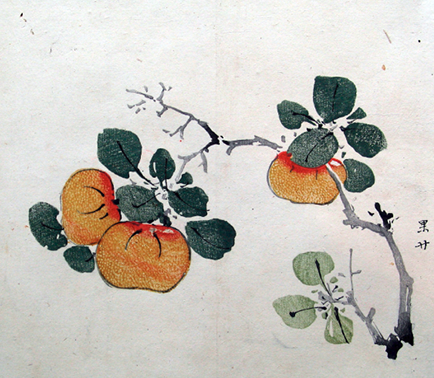 Hu’s work at the Ten Bamboo Studio pioneered new techniques in color printmaking, leading to delicate gradations of color which were not previously achievable in this art form. 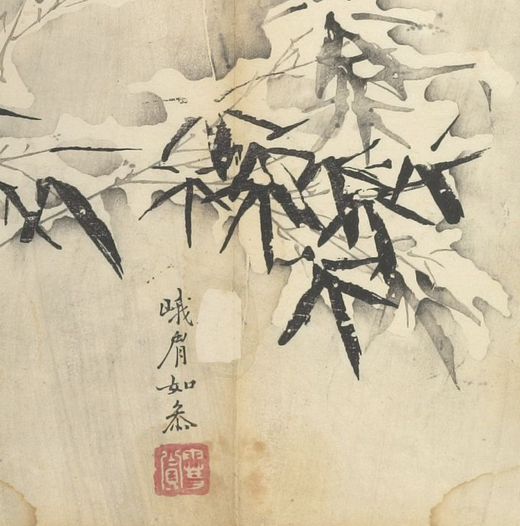 Hu is best known for his manual of painting entitled The Ten Bamboo Studio Manual of Painting and Calligraphy, an artist’s primer which remained in print for around 200 years. His studio also published seal catalogues, academic and medical texts, books on poetry, and decorative writing papers.